Cine Gears inc. and Intervideo are coming together to help your reality become virtual. Intervideo is taking the next step into the future of Virtual Reality to bring the capability to create a cinematic quality VR experience for your viewers. 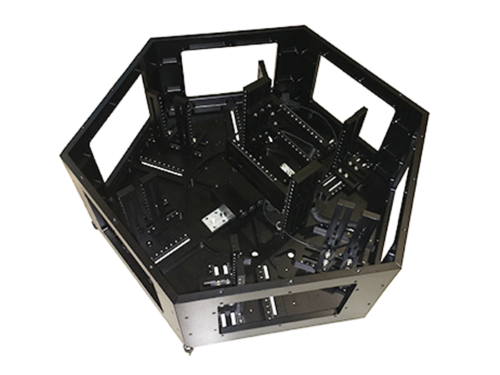 HELIUStm VR rigs feature patented Tangential Capture Geometry: the future of VR content capture, with this technology we are able to see a vast improvement over the reduction of parallax and a robust progress in video stitching quality. 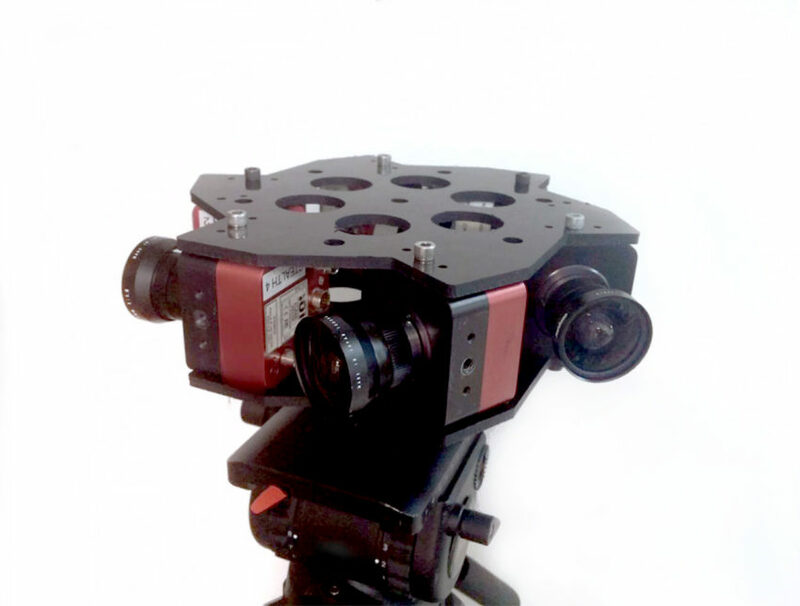 Rather than mounting cameras spherically, which can greatly reduce the quality of the video stitching, the Helius mounts the cameras so they are panned to the point that they practically record each other. If you stitch the images at the verge of the next camera, the parallax is minimum, closer to the size of just the lens. Intervideo are stereographers and have worked in 3D successfully for many years, giving them the ultimate edge in 3D 360 VR work. Virtual Reality is not just for scenery and beauty shots anymore: it’s being used to shoot all manner of films, sitcoms and web series. Intervideo has recognized the need to shoot your talent correctly and professionally; the HELIUStm VR Rig is able to utilize wide angle high res imaging to use fewer cameras and consequently fewer stitches meaning it’s less likely that an actor will be split between two cameras at any point. The HELIUStm rig can be mounted to a massive variety of camera mounting systems, it’s even possible to use a regular tripod or a cable cam such as Cinegears Pegasus Wireless Cable Cam; even a large drone is possible, only weighing in at a maximum of 40 lbs depending on your configuration. Using High-Quality lenses with adjustable aperture and focus, you can mold your shoot to the exact specifications that you need. Alongside this, the Helius comes equipped with interchangeable, replaceable lenses, for specified application, or if a lens gets damaged in some way. Intervideo also provides a wireless remote control for the 2KSDI and 4KSDI rigs allowing the array to be set up quickly from up to 500 feet away: it couldn’t be any simpler.